Update: instead of facing hate crime charges and capital murder pled guilty to 1st degree murder and multiple counts of attempted murder and got life in prison. He dodged the death penalty. If there hadn’t been a black officer at the scene following a deadly shooting spree in July in Bristol that investigators said was racially motivated, Lakeem Scott said he would have ambushed police. The national report scrubbed Scott's racial motives and the press in general blamed it on police. Scott reportedly admitted that he was angered and motivated by incidents of police shootings of African Americans. According to a statement read by Sullivan County District Attorney Gen. Barry Staubus, Scott told investigators "it's nothing personal, I'm just tired of seeing my people killed." All of this due to lies and hysteria from the national and local press that censor the massive levels of violence and crime committed in these communities leading to disproportionate police confrontations. The officers are cleared in nearly every case. The Chicago Tribune report also scrubbed Scott's racial motives and rehashed the same blame police at fault narrative - in a city that stacks up dead black people like cord wood every weekend. On Thursday, July 7, 2016 my wife and I were listening to the local news that announced that a man had shot and killed a motorist on the Volunteer Parkway in Bristol Tennessee. But there was something strange about these reports. They failed to identify or give details of the shooter. A man that murdered a woman and wounded three other people seemed to be a mystery. Alarm bells went off immediately. The local newspaper literally within minutes or hours along with the local TV channels will give you a name description etc. of any shooting or other violent crime. This was the case of a man that shot three family members in Dickenson County, Virginia. In this case we had a news vacuum which I knew immediately something didn't fit the politically correct narrative. I was right. 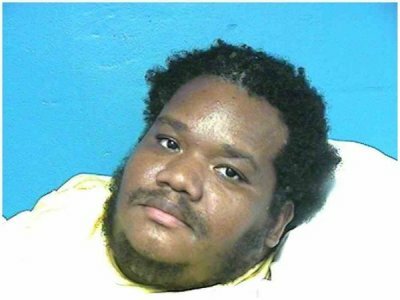 Lakeem Keon Scott a black male that moved to the community was behind the shootings that killed a Bristol Herald Courier newspaper carrier leaving two children without their mother, seriously wounded a clerk at a motel, and wounded a police officer and another man. Scott wanted to kill white people. He was angry at sensationalized reports in the media that two black men had been literally "executed" according to the misinformed press reports for being black. The press often incites this kind of violence and that in Dallas by another black racist. He also had a violent past even with news reports that tried to shift his racism to white racist cops. He had threatened to kill his landlord over a rent deposit. He also wanted his landlord help him buy a gun. It became so bad a warrant was taken out and he fled back to New York. The warrant was dropped. How did he manage to get guns? As of July 25 he has been released from the hospital to the Sullivan County jail. He has pleaded not guilty to murder. I wonder what his defence we be, racial discrimination? He doesn't hold a job or work and collects welfare, thus he gets a public defender. Jennifer Rooney ( A Bristol Herald Courier newspaper carrier) : Deceased after being shot driving in her vehicle on Volunteer Parkway. Deborah Watts: In serious, but stable, condition at Bristol Regional Medical Center after being shot while working at the Days Inn. David Whitman Davis: Received minor injuries at the scene after being injured by flying glass resulting from the gunfire. Officer Matthew Cousins: Sustained a superficial wound to the leg. Was subsequently treated and released from BRMC. All victims were white and he targeted them as white. News bias became apparent as they kept reporting he used "an assault-style weapon" going right back into the gun debate. It was not an assault weapon which are illegal to own. On July 13, 2016 Scott was charged with 1st degree murder in the death of Rooney, seven counts of attempted murder, and assorted other gun charges. Nowhere were there any hate crime charges. Why? The press in particular the Bristol Herald Courier in my view went into cover up mode. The paper's owner Warren Buffett endorsed Hillary Clinton and has worked overtime in promoting liberal race baiting and identity politics like much of the national press in general. Sensational and biased reporting that enflamed racist hate groups such as Black Lives Matter I believe contributed to this killing and those of five police officers in Dallas. I finally found out the details on the shooter in the national press before my local paper. The Herald Courier editorial page on July continued its race-baiting with a cartoon suggesting blacks are targeted because they are black. They reprinted an editorial from the Richmond Times Dispatch repeating the same disproven and unsubstantiated themes on the killing of back men and listed every inflammatory incident they could find. They are in full support of the racist Black Lives Matter movement. The "editorial" page claims it doesn't "necessarily represent" the views of the Herald Courier. That is total rubbish as its reporting and editorial positions are a constant daily attack on Donald Trump and his supporters, endless climate change scare mongering, liberal race baiting and victimization, and near total censorship of opposing viewpoints. This should come as no surprise as the Herald Courier is owned by Warren Buffett who has endorsed Hillary back in 2015. A racist black man like the one in Dallas murdering whites isn't what the national press and Mr. Buffett want to print. Press reports across the nation keep going on ad-nauseam that the shooter was "motivated" by the killings of blacks while local investigators say the incident was racially motivated. Where are the hate crime charges regardless? Scott is presented as a model citizen, a wonderful loving person driven to rage by police racism and white racism in general. He was as much a victim for his race as the victims he used for target practice. A recent Harvard study by a black professor who was shocked at his own research that blacks in fact were not targeted in any manner. Matthew Hennessey call this "reckless allegations and media driven narritives" that are inciting violence. "TBI Agents and Forensic Scientists continue to work as aggressively, as quickly, and as carefully as possibly to process any and all relevant evidence and interviews to determine the exact series of events. Preliminarily, the investigation has revealed the subject, identified as Lakeem Keon Scott (DOB 12-15-78), was armed with at least two weapons (an automatic-style rifle and a pistol) and a large amount of ammunition at approximately 2:20 Thursday morning when he fired shots through the window of the Days Inn on Volunteer Parkway, striking the clerk. Scott also appears to have, at some point, indiscriminately fired at several vehicles driving on Volunteer Parkway before being confronted by officers from the Bristol, Tennessee police department. During that exchange, the investigation shows Scott fired at the three responding officers, after which the officers returned fire, striking Scott, who was subsequently transported to Bristol Regional Medical Center, where at the time of this release, he remains in serious, but stable, condition." Scott was wounded by police and is in stable condition at a local hospital. They are trying to back off from earlier reports of a racial motivation it seems for political reasons. Yet the Roanoke Times notes the following: "Investigators: Bristol rampage likely racially motivated". Yet once again the TBI says they are still working "to develop a thorough understanding of his motivation". This is like the Orlando nightclub slaughter by a Muslim religious fanatic where they still claim to have no clear motivation. "The Tennessee Bureau of Investigation said in a news release that initial conversations with the suspect, 37-year-old former soldier Lakeem Keon Scott, who is black, revealed he was troubled by the incidents in other states, hundreds of miles away. All those shot were white, police said. 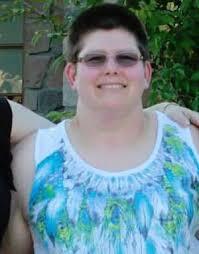 His cousin Sarah Scott said she is so close to him he called her "sister." She said she is shocked by the allegation he was enraged by police violence against African-Americans. "He's into his culture, he really is; but never would he hurt anybody," she said. She called him an "open, big-hearted person." Scott – allegedly armed with an assault rifle, a pistol and a large amount of ammunition – was wounded in a shootout with police early Thursday and remains hospitalized. Police were not able to interview him until late Friday morning, according to a statement from the Tennessee Bureau of Investigation." Once again it was NOT an assault rifle. What "culture" does she refer to? And some who is "open, big-hearted person" doesn't go out targeting white people and shooting them. Thus Scott is presented as a victim himself. Contrast this to the reporting on Dylann Roof that murdered nine blacks where whites in general ended up somehow condemned. The press continues to blame "police violence" for this and other racist attacks on police and others, not minority racism or racial incitement by the press.